This next polish is from the newer Rimmel Salon Pro line. As I've mentioned before I am incredibly impressed with this line. The polishes have a gel-like finish and a top notch formula. The best part of these polishes is they're $2.99! I have an amazing cobalt blue to share with you today. Barmy Blue is a deep cobalt blue in between a jelly and creme (crelly?). Color: Cobalt blue has definitely been an on trend color in nail polish for the last 2-3 years. 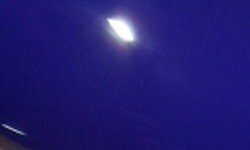 This shade of blue is actually darker and more saturated than some of my other brighter blues. Barmy Blue is unique to me, and it's a great color! Formula: Excellent formula here. This had the same buttery and smooth formula as the other Rimmel Salon Pro polishes I have tried. The finish is not quite a jelly finish, but not quite a creme either. I guess that constitutes it as a crelly? I used 2 coats above. Price: I paid $2.99 for this at CVS. CVS tends offer Rimmel every so often as BOGO 50% OFF. I'd recommend you stock up on a few of these then! Overall: Barmy Blue is an excellent color with excellent formula at a very affordable price. I highly recommend this color and other colors from the Rimmel Salon Pro line. My only complaint is I wish this line had a wider range of colors. That is a great color! I love the jelly squishy look but I really like that it gives full coverage with no visible nail line. I have never tried that line of polish. I love finding such awesome polishes that don't break the bank! This looks like one to keep an eye out for! 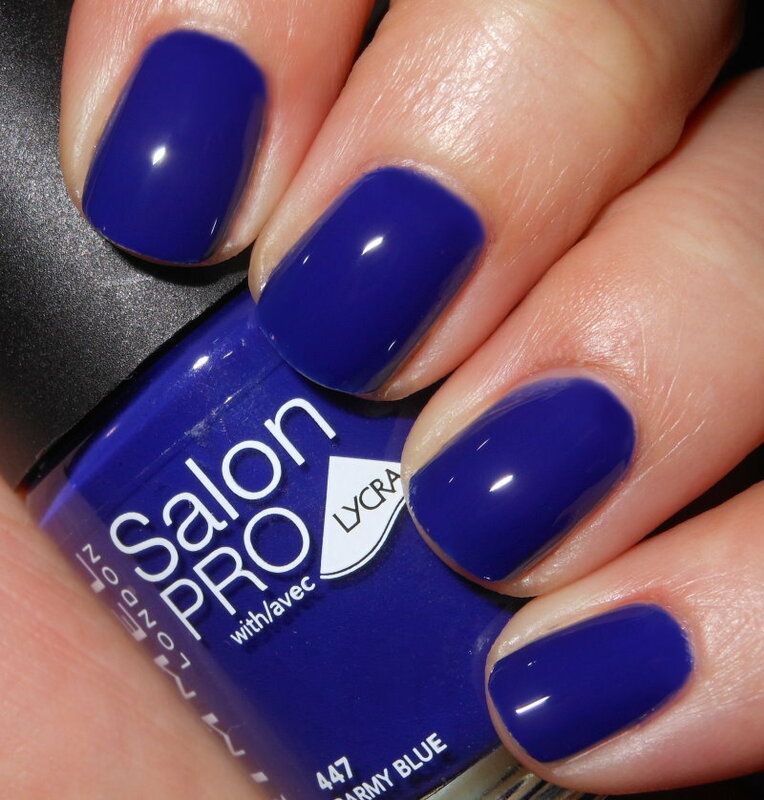 That is one stunning blue jelly shade! Oooh, that does look nice. I got a couple colors from this line but haven't tried them yet. Based on this review I might grab this one next time I see it! I love that it's squishy without being sheer :-).